Trust Funds Incorporated in San Francisco has awarded a $15,000 grant to Sacramento Life Center for the nonprofit’s licensed medical clinics that provide free medical services to low-income pregnant women, including pregnancy tests, STD tests, ultrasounds, counseling for men and women, education and resource referrals. 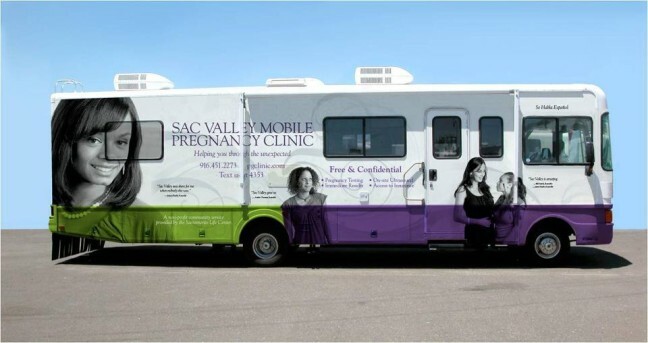 The Sacramento Life Center’s licensed Sac Valley Pregnancy Clinic includes a primary clinic in Midtown Sacramento and two Mobile Medical Clinics that travel around Sacramento and Placer counties five days a week. For the Mobile Medical Clinic schedule, visit www.svpclinic.com. The Sacramento Life Center’s mission is to offer compassion, support, resources and free medical care to women and couples facing an unplanned or unsupported pregnancy. In addition to its medical services, the Sacramento Life Center offers a school-based teen education program, a 24-hour hotline and a program for women seeking support after having an abortion. For more information about the Sacramento Life Center’s Sac Valley Pregnancy Clinic, visit www.svpclinic.com. For more information about the Sacramento Life Center or to make a donation, visit www.saclife.org.